Owner just had some painting done. Come and see!. This original Ivy Hills Farmhouse is looking for an owner that appreciates history and a well built house. Do not miss out on this one of a kind opportunity. 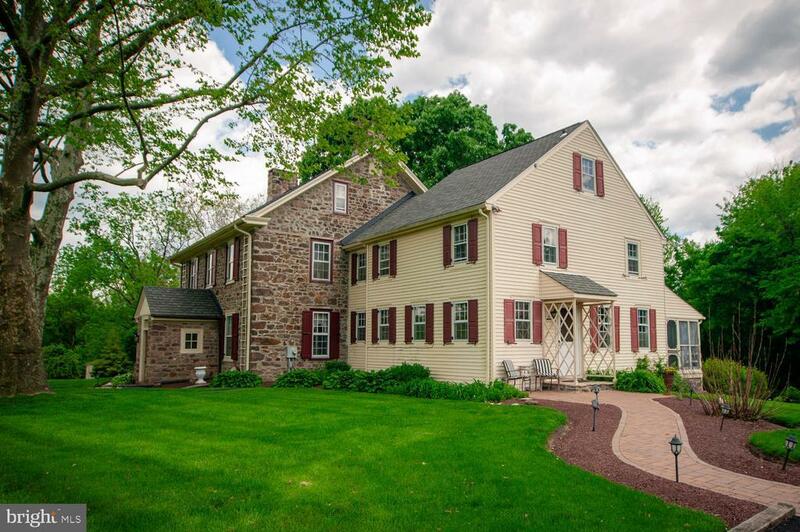 Well maintained 18th century Hart Stone Farmhouse gives you the best of both worlds, the perfect amount of history combined with all the modern amenities. The owners have been continually mindful of updating it yet still preserving the uniqueness of its origin. High ceilings, wide plank floors, dutch doors, enormous windows with deep-set windowsills throughout, vintage chandeliers, 3 fireplaces, 2 of them have wood burning stoves. Entire house has been re-pointed including the basement walls and the original Spring House. This glorious home is perfect for people that love to entertain. The expansive yard with fieldstone patio and wishing well will be where you spend your nights taking in the cool breeze. The large screened, open air Sunroom with patio below gives you more views of the park like grounds. Family will gather in the sizable gourmet kitchen with granite counter-tops, breakfast bar and stainless steel appliances, completed with a large eat-in area and back stairs to the second level. Plentiful living room with wood burning stove for those chilly Winter nights. The sophisticated dining room just went through a grand transformation. The first level powder room just completely remodeled. 5 bedrooms, each one of them unique in its own right. Master suite with private bathroom and office/den. The third floor is like having your own apartment with a bedroom, a living room area, and a bonus room. Has its own full bath as well. Would be ideal for any teen age boy or girl, au-pair, or out of town guests that are staying awhile! Newer roof, updated electric, newer oil tank, newer gutters, paver pathway to side door and painting just finished in various rooms. Need a good workshop to putter around in? This home has that too. Nearby Parks and shopping too. Convenient enough to public transportation and the Warminster train. Dont let this gem get away. Time to take a tour and see for yourself. Directions: Jacksonville Road to Charter.